What’s new in Microsoft Dynamics CRM 2011, Microsoft Dynamics CRM Online 2011 & International worldwide Europe and United Kingdom (UK) CRM Dynamics Online launch. This post tries to answer these questions. 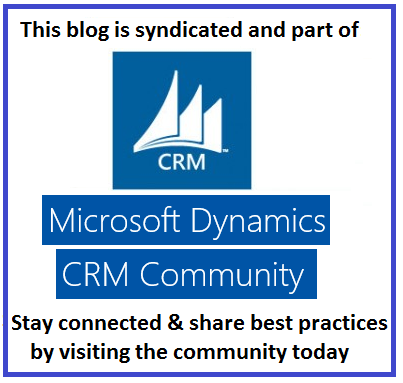 The post is the next one in the series and collection of posts that discuss Microsoft dynamics CRM 2011 new features, changes, additions, add-ons and improvements. We discussed in our previous post CRM Outlook client for Microsoft Dynamics CRM 2011 New features, changes, additions and improvements & gave a fairly quick introduction to the CRM Outlook client (you can read the previous post here). This post is focusing on what’s new in Dynamics CRM 2011 Web Client (IE) and CRM 2011 Customizations, configuration and development o f the new Microsoft CRM 2011 version. The number of additions, enhancements, improvements in CRM 2011 are estimated to be over 500 new features at least. 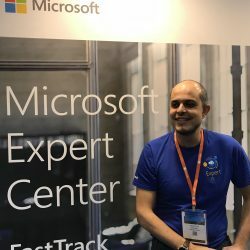 Some new features are fundamental and others are minor changes that are aimed at making the lives of Microsoft CRM Architects, consultants and developers easier, much easier I would say. Let’s now go through some of the enhancements in CRM 2011 without too much details and I will aim to do more detailed posts in the future on how to work on each main new feature. Dashboards: CRM 2011 now has the big, major change which is the Dashboards. You can now build out of the box standard dashboards, graphical dashboards, charts, etc in CRM 2011. Building dashboards has been made easy enough so that business users can build dashboards for themselves without the need of CRM consultants or developers to build them unless they are advanced dashboards. Gone are the days (or at least I hope so) when CRM Consultants had to build dashboards for clients using Asp.net page, user controls a.k. widgets, etc. We can now very easily configure (can’t really call it develop) a dashboard in quick few steps. I think I will have to do a separate blog post to go through CRM 2011 Dashboards in detail. Records Navigation: CRM 2011 now has full records navigation in the web clients, so CRM users can just click on the next record or previous record buttons to navigate easily between CRM records especially in case they want to do a specific task on all records one by one. They no longer now need to double click a record, edit it, save it, close and then go back and open the next one. There is simply one button to get you to the next one. Sub Grids:You can now build sub grids in CRM web client for drilling further into CRM data. Customise Tab: To customise (or customize for my American friends! ), you now have a tab on ever entity that allows you to customise it without having to go to the settings –> customisations area as in Dynamics CRM 4.0. Obviously only users who have the relative security roles that allows them to customize entities can see this tab. Normal CRM users will not see this tab if they do not have the related security role. Form editor: Forms customisation and editors are now much much simpler really. No more going between several screens to add fields and then go back to the main form to add the field. It is now as simple as drag and drop fields on the form, and as easy as creating a new field while customising the form, there and then. This will definitely lower down the time required for customisations as everything is handled from one screen. Multiple Forms per entity: Every CRM 2011 entity now can have one or more forms. Each form can have different security roles associated, so you can basically have a form for each security role or in other words each group of users. So if you want not to display certain data to specific CRM user, you can just create a form that only has the data they need to see. Don’t confuse this with field level security which is also a new feature in CRM 2011. You can also add parameters to be passed to the Form from within the Form properties. This data from the parameters can be accessed in scripts for form and field event handlers. Global Picklist – Option set: CRM 2011 now has a new field type which is Option set. An option set is in effect a picklist (or dropdown) field type but which is global to all CRM entities. So any entity form can add the same option set. This is quite useful when you have something like countries list or job types, etc. You can now create one global option set and then all entities can reference this option set. Publish within the customisation screen: Do all your customisation changes then click Publish button without the need to close or open any windows (horrayyy). Auditing: CRM 2011 now comes with an auditing module included. You can enable and disable auditing for every entity. If auditing is enabled on an entity, all its fields become audited as well. You can then go through each field in this entity and disable auditing for it if required. Field Level Security: You can now enable and disable field level security for every custom field (not customizable ones). If a field security is enabled, you can then go to Settings –> Administration –> Field security profiles and change the field level security for each field for as many profiles as you want. For example you can create a profile for temp employees and set certain fields as: Read, Update and/or Create. If you don’t tick any of these 3 options, Teams and users in this profile will not see this profile’s fields on the related entities’ forms. You can add teams and users for each field level security profile. Form level Security: Every CRM 2011 form now can be secured against each security role. When you edit every form in CRM 2011, you will have an option on the CRM 2011 ribbon at the top that allows you to assign security roles to this form. So, you can either choose the option to display this form to everyone or you can select what security roles can see this form. Anyone who does not have the security roles assigned to this form, will not be able to view it. Excel Import and Export CRM Data: CRM 2011 allows for the import and export of data to and from CRM and an Excel sheet. You can now add information in the excel sheet and import to CRM and vice versa. When you open excel spreadsheets with CRM data exported from CRM, you will be able to see all values for each picklist to change the values in the excel sheet and then import back to CRM. This is excellent for Sales and field employees who can work disconnectedly on excel sheets and then import to CRM at the end of the day. This is also very useful for data cleansing where you can export data, do a data cleansing exercise (wash it thoroughly) and then import back. That’s it for this post. More blog posts are coming with more CRM 2011 features and capabilities. Next blog post will be a continuation of the productivity enhancements that Microsoft Dynamics CRM 2011 has. The next post will be published very soon so, please watch this space. The new post, in continuation of this series can has been published and can be viewed by clicking here. Hope this post was helpful. Please feel free to comment with your feedback and input. As always, this post, like all other posts on this blog are presented as is without any guarantee or warranty and I’m not responsible for any inaccurate or incorrect information mentioned in this blog nor decisions made based on this post. Myself, Microsoft and my employer can not be held responsible for any of this post content or information. 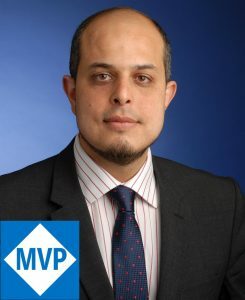 The speaker on the technical session was Reuben Kippner and with all honesty, I think it was a brilliant session(s), straight to the point and most event delegates I spoke with liked his presentation and the way he puts information across. So well done Reuben. One more thing before we delve into the details: I always try not to put my opinion or views in my blog posts as I prefer to put facts and straight forward information, so I’ll try to do this in this post as well but apologies in advance if I end up putting my views in some cases. Now in CRM 2011, you can go and create a new email and then you will have the option of inserting resources from CRM records such as: Templates, Sales literature and Articles. You can now have more than one organisation added to your Outlook. So you will have one organisation that you can set to synchronise with, and as many more as you want where you can view and access their CRM data in Outlook but do not synchronise with. Obviously you will only be able to synchronise with one of them only as you can sync with more than one and end up with data such as contacts and appointments from multiple organisations in your outlook. CRM 2011 outlook client has been fully re-written and is not based on CRM 4 outlook client. CRM 2011 outlook client is now native to Outlook which means you can do all your usual outlook configuration and settings to your CRM data in outlook. For example you can now use outlook categories for your CRM records, etc. Go to the View tab in outlook –> View settings –> Conditional formatting -> then all your Outlook formatting there can be applied to your CRM records in Outlook. You also have reading pane for CRM 2011 data similar to how outlook emails are displayed. It is no longer a window to CRM data in outlook, it is actually displaying and using CRM data in Outlook based on Outlook native features and display settings. You can now have multiple views in Outlook. So you can see all CRM views in your Outlook. The next post will be available soon, so watch this space. 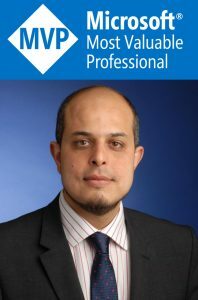 Please comment below to let me know your views on the new additions in CRM Outlook client for CRM 2011 and all new features in Microsoft Dynamics CRM 2011 in general. Please also comment with any corrections to this post or any features that I haven’t listed (which I’m sure they are many). This is a quick post to direct people to Microsoft Dynamics CRM tool or utility developed by Microsoft and available free that can be used to quickly edit Microsoft Dynamics CRM SiteMap via a Graphical Interface (GUI) where you can easily change, amend & publish the site map file: sitemap.xml. I’m sure many people already know that but I’m also sure there are some people who have not heard of Microsoft Dynamics CRM Demonstration Tool (for Microsoft Dynamics CRM 4.0). This tool is an excellent tool to help you do few things using a graphical interface. Just download it (1.8MB) and run the exe file and you do NOT need to install any files, it’s a self contained exe file. Automated Data generation, enter and edit data, populate and save your CRM data for future use in XML format. You can move the date forward for all your data date fields (non-system dates only) so that you can have your demonstration data up to date and you can clearly show information such as opportunities pipeline and future sales data. You can generate incoming emails from your existing Dynamics CRM contacts for demonstration. You can edit, upload, change and handle your icons for all your Microsoft Dynamics CRM custom entities. Site Map editor as we discussed above. String editor is also another feature in this tool that allows you replace display text, form labels, view names and messages in CRM for all your entities. Hope you find this review useful. Please comment if you have anything to add that can help anyone. This is a quick post to show you a function that I used recently to activate and deactivate records programmatically using CRM API/SDK. The function allows you to set the state code (statuscode field) as active or inactive and set the status code field value (status code or status reason) to any value from the values you specify in your Microsoft Dynamics CRM organization. For example, if you set statuscode Cancelled as a reason, you need to know what integer this status reason represents and pass this value to this function. // Statecode: Status of the record to be changed to. It takes values "active" or "inactive". Hopefully this will help someone out there! Thanks to my colleague Rashwan for his help on this post.